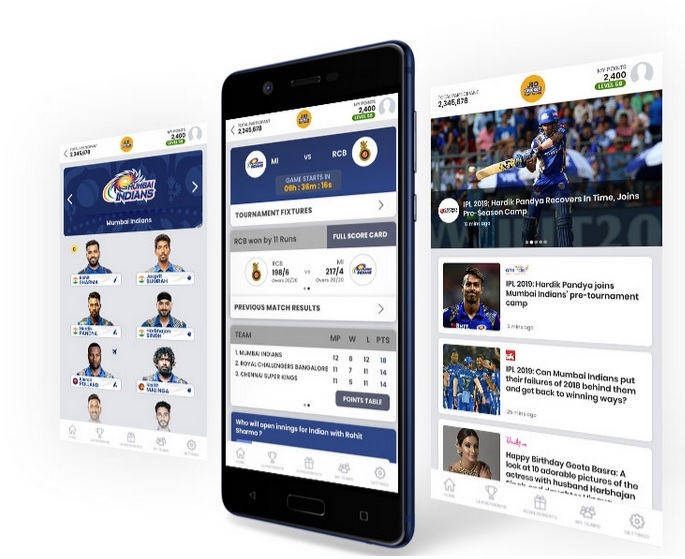 Jio Cricket Play Along is an exciting concept which lets you play a cricket play-along game during cricket matches scheduled for broadcasting from March 23, 2019 to May 05, 2019. 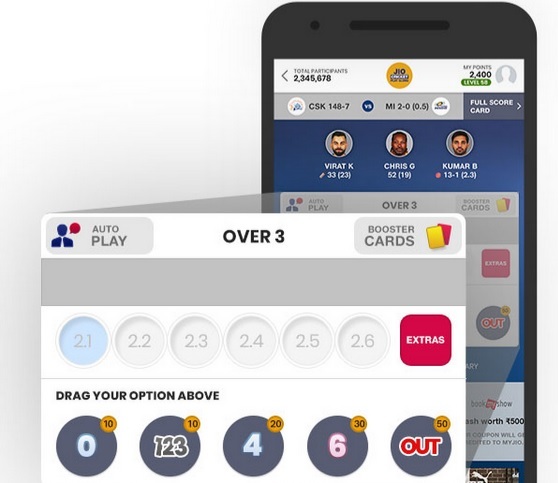 The application will allow players to answer what will happen ball-by-ball in-sync with the match broadcast on MyJio App. Correct answers enable a player to earn points. 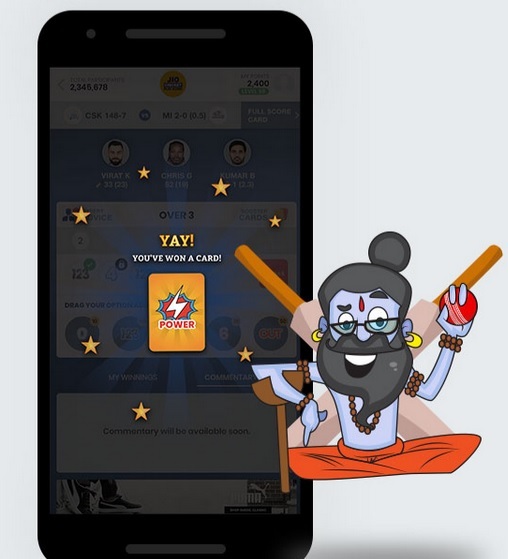 Additionally the players can answer trivia questions and earn points by selecting the correct answers. Only persons who are 18 years or above on the date of registration, Indian citizen, and of sound mind & health are permitted to participate. ** Players should download the latest version of MyJio app (available for Android on Play Store / for iOS on App Store for free). ** Once installed, click on MyJio and click on ‘play the game’ to start playing the game. ** For customers playing on a JioPhone can just open MyJio App and ensure that they have a Jio SIM in the Jio Phone, to be able to play the game. ** Non-Jio users will have to confirm the OTP they will receive on their mobile before proceeding. OTP is generated as soon as you submit your details. ** In case it is not received, please check the number you have entered and click the ‘Re-send’ button. Wake up the cricket nerd in you. Play along when cricket matches go LIVE. Just drag it! Let Experts play for you or use Power Play and Free Hit Cards to earn quick points in 3 overs. Catch up on the latest news, score, schedule, match details and everything around cricket at one place. 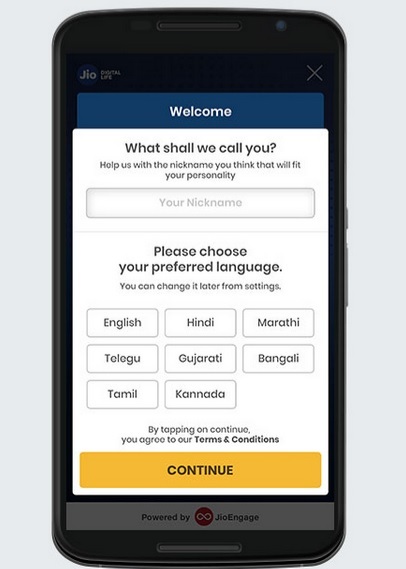 Choose your preferred language to enjoy the pulse of cricket. Just the way you like it. Answer trivia quiz, Captain and 3rd Umpire questions during match or go for Gully Cricket during breaks. No limits to points you can earn. What should I do if I am not able to access the Jio Cricket Play Along App? ** Check whether you have data connectivity. It is possible that you might not be able to access the App because of poor data connectivity. I am not a Jio customer, can I still play Jio Cricket Play Along? Yes, you can play so long as you download and register on the Jio Cricket Play Along game. Non-Jio customers will have to confirm their number by entering the OTP received on their mobiles before proceeding to play the Game. How much time will I get to answer per ball questions? There will be a time of upto 10 seconds between locking answer for each ball and it will be indicated with a ball blinking action. I see a box called “Extras” in the game. What is it for? “Extras” allows the player to answer how many extras will be incurred in a given over. In case you decide to answer the extras in the over, options for Extras will appear over the ball options. You must select the option by clicking on it. This will be open until you receive the feed of 3rd legal delivery.